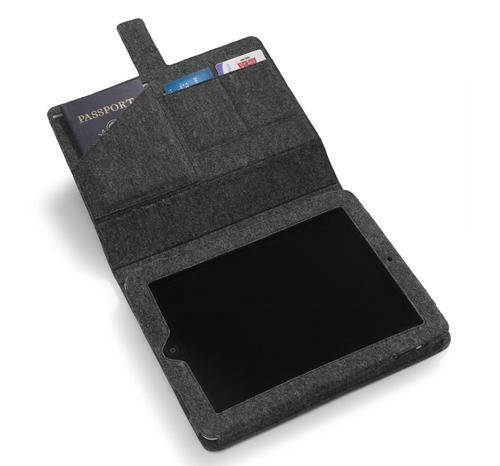 Want to carry several credit cards and some business cards along with your iPad? Apparently you need an iPad case with several pockets just like the following pad stash iPad case. Pad stash measures 8 x 9.5 x 1 inches, and weights 8 oz. 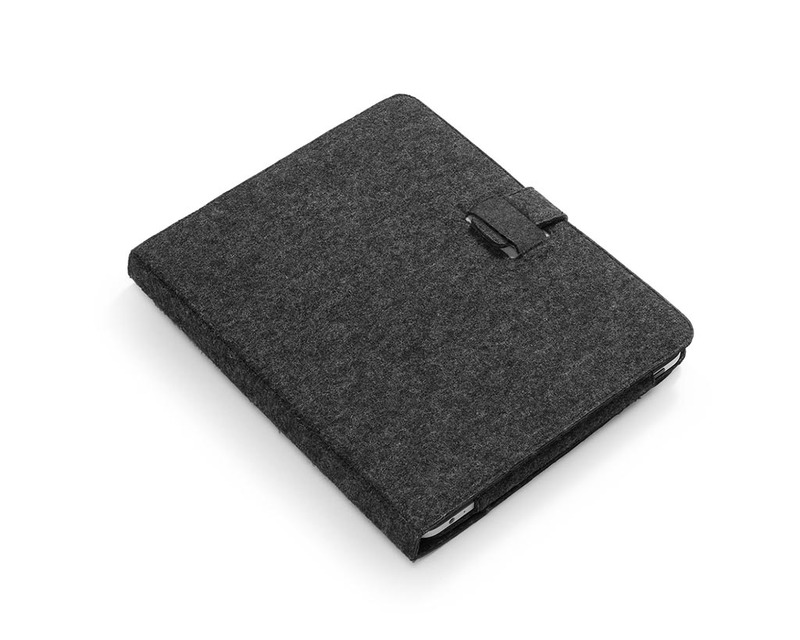 Unlike some leather or silicone cases, the folio iPad case is made of 100% recycled wool felt. This kind of material can not only protect the iPad from scratches and some bumps, but also provide you a comfortable grip. When the front cover is folded back, the iPad case doubles as a nice iPad stand supporting landscape viewing mode. And the attached security pockets and SIM card slot allow the case to hold your credit cards, business cards, passport, and other booklets. Besides, the reserved cutouts let you access all iPad buttons and functions. 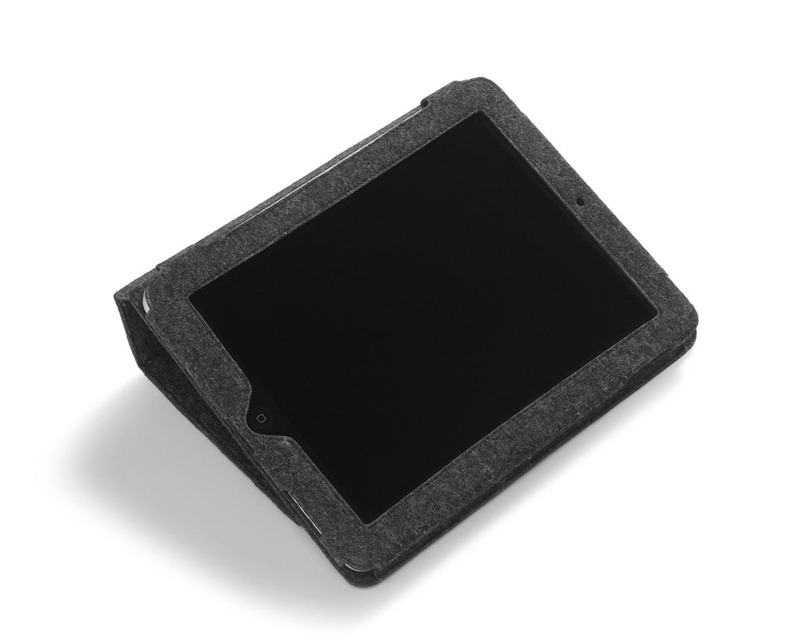 Pad stash iPad case is priced at $75 USD. If you like this kind of style, jump to Nau online store for more details. Apparently this sort of fabric folio iPad case is quite rare, if you need more similar iPad cases, you might like to check EOps 0utercover P1 iPad case.